Waiouru: A wee bit knackered! Either today’s Sunday walk was longer and more difficult than usual or I’m getting older. It has to be the former <I hope!>. After all the recent heavy rain the plan was to get onto high ground where it would be drier under foot. This turned out to be an invalid assumption. It was a five hour walk done in an anticlockwise direction. Apart from the towpath and the journey through residential Thatcham the ground was mostly wet, muddy undulating and slippery. 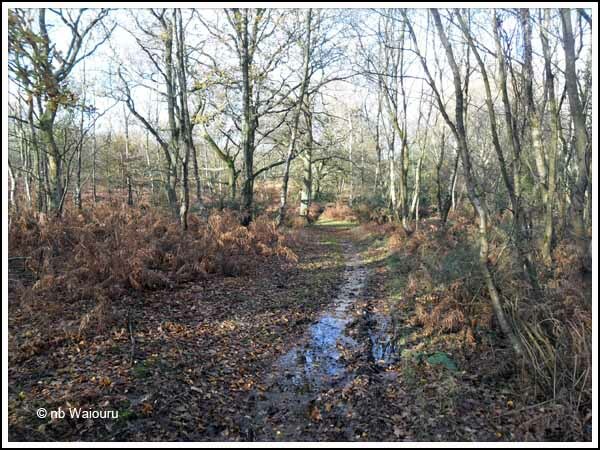 This was particularly true of the bridlepaths which I suspect were heavily cut up after being used by horses. One of the better stretches. Notice how the bracken has died back along with the stinging nettles. It’s the first time I’ve walked through Thatcham using the off-road footpaths. All these footpaths through urban areas are something I have noticed in English towns and cities. They are more prevalent than in Australia or NZ and I’m enjoying using them. 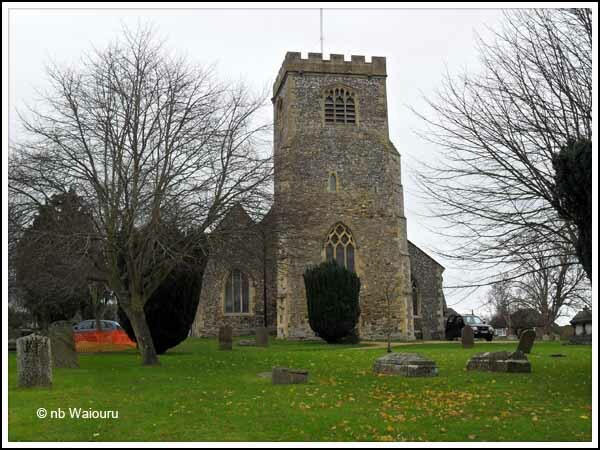 Midway through Thatcham I came to St Mary’s Church. Apparently the Normans replaced the original Saxon wooden building with one built of stone around 1140AD. The current church was completely renovated in 1857. 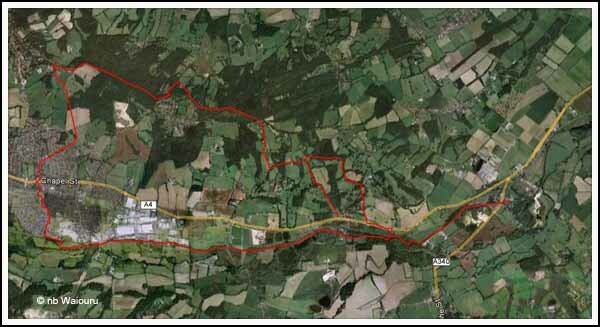 The planned route then took me across the railway line to the towpath near Monkey Marsh Lock. This is one of two turf sided locks on the Kennet & Avon Canal. 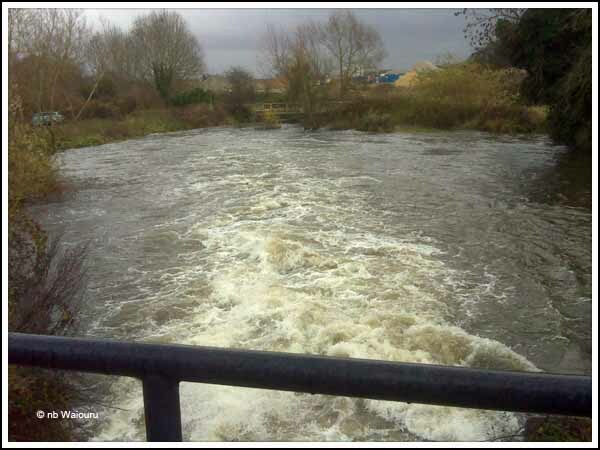 After all the recent rain the water level was very high and in one location had flooded over the top of the towpath. It was even higher than the concrete tops to some of the sluice paddles. 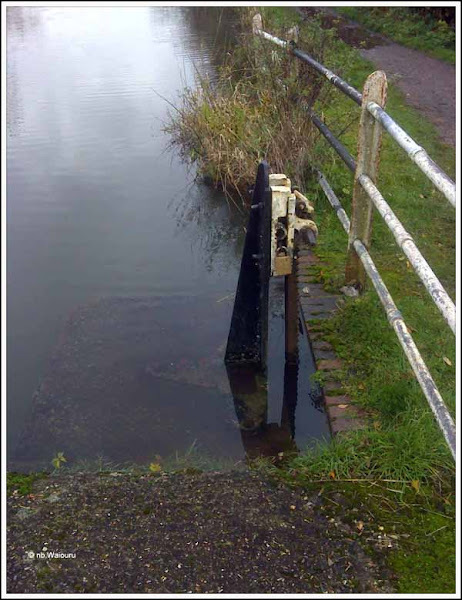 On some sections the canal and River Kennet share the same channel and the volume of water being discharged through the sluices where they separate is far greater than usual. 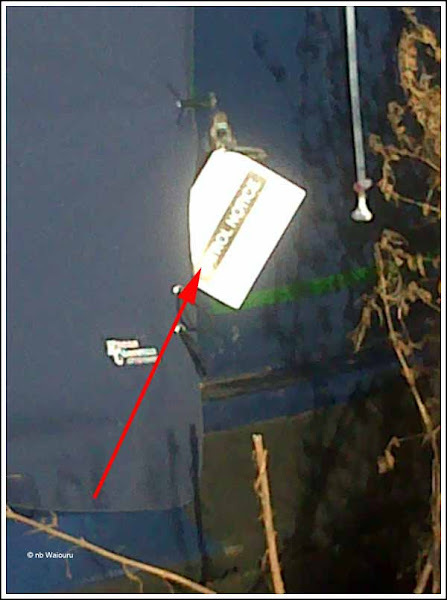 It also appears in the last week a CaRT patrol officer has been walking the stretch of the towpath between Woolhampton and Aldermaston as I noticed one of the boats moored at Woolhampton had a patrol notice attached to it. Back at Waiouru a hot shower and dry clean clothes went some way towards rejuvenating me although this was slightly negated by the need to go back into the rain and fill the water tank. Despite the pressure being good it still took 40 minutes to fill the half empty tank. Back in Waiouru the ‘captain’s recliner chair’ beckoned which resulted in me examining the inside of my eyelids and punching out ZZZZZ’s for 90 minutes before Jan woke me for dinner. It’s likely to be an early night; although Jan isn’t looking forward to it because I apparently ‘twitch’ in my sleep after a tiring walk!